Now that everyone knows about Keith's Ice Cold Lemonade Stands, it's time to share a little bit of Keith Boyd's story. Keith Boyd is a young man who was born with Cerebral Palsy, a condition that affects his mobility as well as his ability to speak.While attending The Little Light House, a tuition free Christian school for children with special needs, he received his high-tech eye gaze computer, which is a speech generating device. Wow, how amazing is that? Keith was finally able to participate in life by making his own choices. A truly life-changing moment! By using his eyes Keith was able to develop his own business plan for Keith's Ice Cold Lemonade Stands. In 2012, Keith's firsts stand was created to simply generate enough money to buy a toy Keith had his heart set on. Keith made enough money to buy his toy and donated the rest to his school, The Little Light House. This was the beginning of it all. Although Keith no longer attends The Little Light House, he is still raising money to help his friends! Keith's new goal for 2014 is to raise $250,000 for The Little Light House. Yes, Keith has to work harder, but his struggles only make him more determined! All this couldn't have been done without Keith's amazing parents, James and Erin Boyd, who have been by his side helping him fulfill his dreams. You two are fighters and such beautiful, strong, role models! 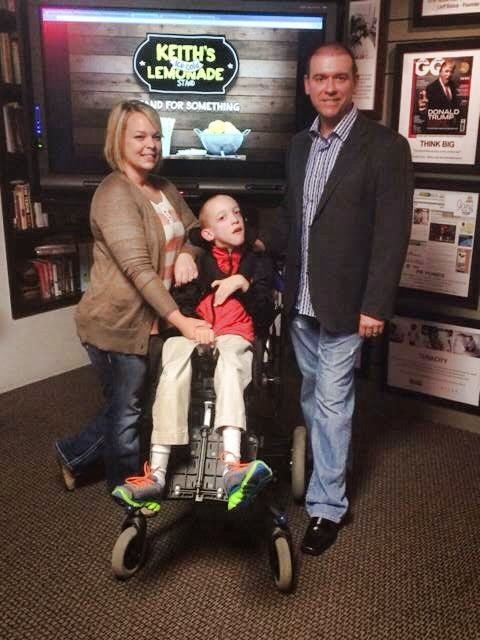 We, at Edge Sight and Sound, are so happy to call the Boyds our friends! You guys are an inspiration to us all. Can't wait to kick of Keith' Ice Cold Lemonade Stands 2014!!!! Stay tuned for locations! Also, If you are looking for volunteer work this summer check out Keith's website and be a part of this amazing fundraiser. FIRST DAY OF KEITH'S ICE COLD LEMONADE!! !